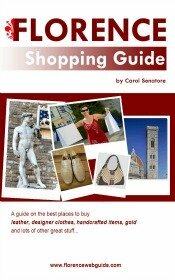 What are the things to do in Florence in February 2018? The woman in the picture to the left is a very special lady who is celebrated this month in Firenze: Anna Maria Luisa de' Medici - read below to find out why! Classical music, opera nights, musical cocktail hours, a chocolate fair, the Russian ballet, and the ever popular Inferno Tour too! Into sports? There's soccer of course, but also skiing, skating and snowboarding, yes, in Florence! 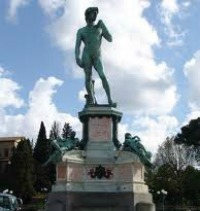 Visitors to Firenze flock to the world famous museums or go on city tours to get to know the town's history better. 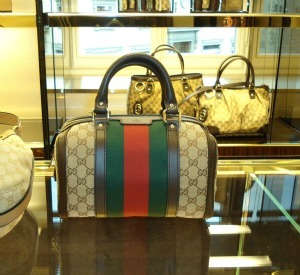 And of course, people love their guilty pleasures: shopping and eating at the best restaurants! 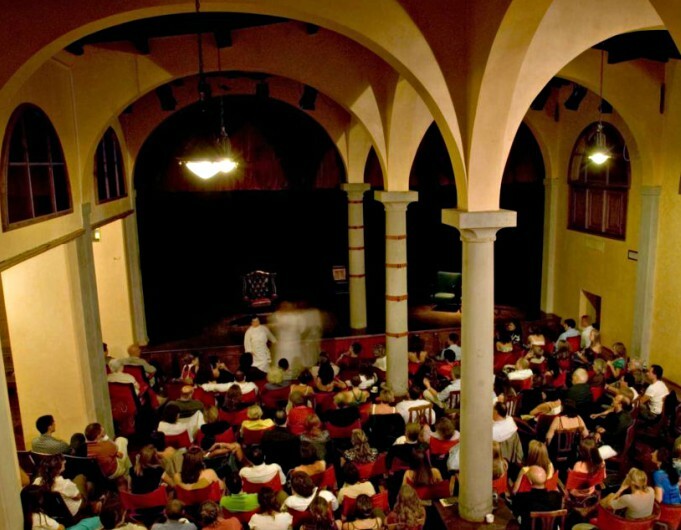 One of the classic and most loved things to do in Florence in February is to take in a live operatic performance in one of the city's ancient churches. These are exciting nights out because the venue is so small you feel like you're practically on the stage with the singers and musicians! 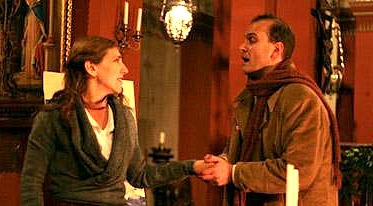 The program this month also has a Vivaldi concert as well as a special Valentine's Day opera + ballet.....so much to choose from! And of course there are the tried and true favorites: Puccini's La Boheme and Verdi's Traviata and the ever popular Three Tenors Concert - always a winner! 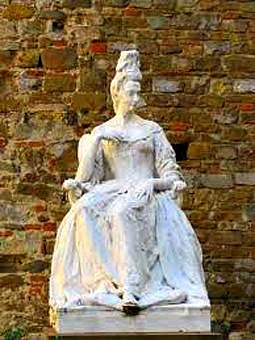 Anna Maria Luisa - the lady at the top of this page - was the last heir to the Medici dynasty who died on February 18 in 1743 leaving all the family's artistic masterpieces to the city of Florence. The city pays homage to this forward-thinking historic figure whose generosity has helped make Firenze the hub of the renaissance as we know it today. The actual celebration for Anna Luisa is on February 18 - the date of her passing - with a city procession through the downtown. 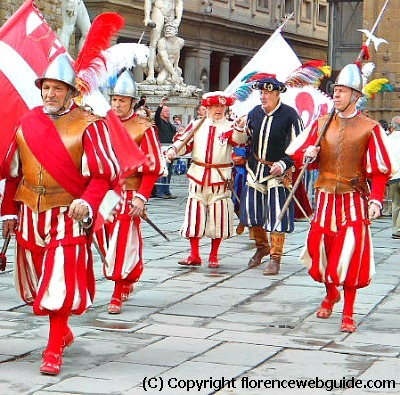 Marchers dressed in period costumes representing the Florentine Republic parade through the downtown area to the Medici Chapel, where Anna Maria and the other members of the family are buried. The Chapel and Museum are open free of charge on this day (as well as other city museums such as Palazzo Vecchio Museum). This month is Carnival Time, the period leading up to Lent also known as 'Mardi Gras' when people have fun dressing up in costumes and throwing parties and confetti in the streets. One of the fun things to do in Florence in February is to get in a party mood by admiring the shop windows and street decorations dedicated to Il Carnivale. If you see locals parading around in stilts with extravagant make-up and hats, this is the reason...there are Mardi Gras festivities going on all month! There are also special treats for carnivale like cenci (fried pastry) and schiacciata fiorentina (a flat sponge cake) both covered in a snow of powdered sugar - make sure you taste these Florentine specialties during February! In general, there's no specific appointment or place to go to enjoy carnivale, events take place all around the city and often in the squares so you can't miss them - just stroll around and enjoy the fun (it's free too!). 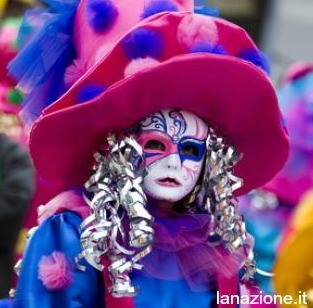 But, the closer we get to martedì grasso, the more festivities you will see out and about (in 2018 mardi gras - Shrove Tuesday - falls on 13 February). Buffet Dinner and Show at Local Favorite! It's called the 'Teatro del Sale', literally translated as the 'Theater of Salt', 'salt' in the sense that this is a combo theater-restaurant where you get both food and a theatrical performance. A local favorite for a special night out in Florence, the Teatro del Sale is a place where you can have a huge gourmet dinner followed by a concert or some sort of cabaret show. It works like this: the place is set up with lots of seats and tables all around. The food - tons of traditional dishes to choose from - is offered as a buffet. As each freshly cooked dish is ready, you collect your portion and return to your seat to eat - it's all very casual. At about 9,30 however, it's away with the food, get rid of your dish, and grab a seat in front of the stage for the show to begin! Wine Tasting and Food to Match at Glorious Villa! 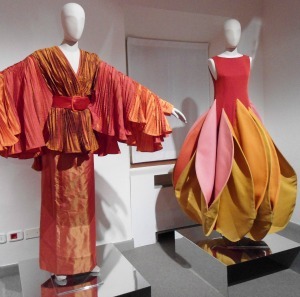 If you're looking for something very different and special to do in Florence in February 2018, try an evening called 'Le Delizie di Leonardo' (Leonardo's delights) at the luxurious Villa Olmi. 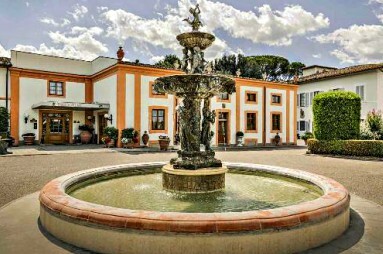 Leonardo refers to the celebrated food critic Leonardo Romanelli, who will be on hand for a night of wine tastings with Tuscan dinner to follow, all taking place at an elegant modern villa with immense Italian garden surrounding the estate. The 'star' of the evening will be Tuscan Merlot wines which will be perfectly paired with dishes specially selected by our food expert Leonardo. Some selections off the dinner menu are: grilled vegetables and cheeses on toasted crusty bread slices, selections of cheeses, pot pies, stuffed egg pasta, polenta and dessert. Florence Opera House and Cultural Center! If you want to do something that locals do here in Florence and find yourself amid the native city dwellers enjoying an evening out, check out the 'Opera di Firenze'! The Firenze Opera (that's the name of the whole complex) is the newly designed opera and concert hall as well as cultural center located just outside the town center. Whether you're into classical music, ballet, or opera, the program of events will have something to suit your tastes. Some of the music world's biggest names are behind the productions at the Opera, like Riccardo Muti and Zubin Mehta, so a top-of-the-line performance is guaranteed! The complex is situated just next to the city's biggest and most popular park, le Cascine, a nice place to stroll, and there's a good restaurant just behind the opera house called 'Buoneria' for a meal before or after the show....what are you waiting for? 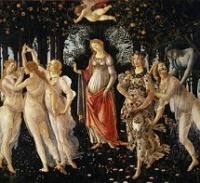 This is one of the things to do in Florence in February that combines admiring the beauty of the city with music. The Bardini Gardens - which offers one of the finest vantage points for great views of the city skyline for sure - is host to musical aperitif hours! 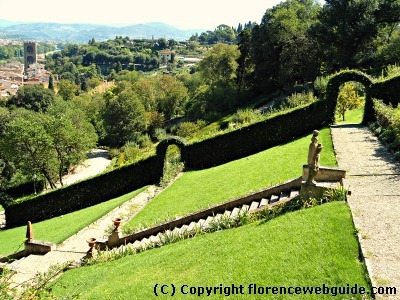 The villa is on the south side of the city on the hills just over the Arno river. Classical music concerts are held in the elegant hall with cocktails and snacks included. For all those culture vultures, a top choice for things to do in Florence is to check out one of the shows at the city's most popular theater, il Teatro Verdi, named after the great Italian opera composer. The Verdi theater is home to most of the light-hearted and downright fun shows going on in town, performances such as musicals, dance acts, magic shows and pop concerts. 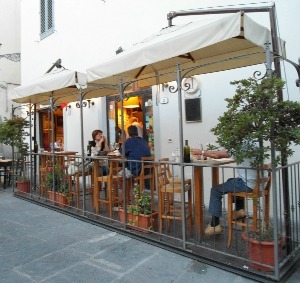 Located right in the heart of the city, near piazza Santa Croce, you can take your pick of all the restaurants, pubs and clubs surrounding this venue for either before-show or after-performance meals and relaxing. Hottest Ticket! Take an 'Inferno Tour'! 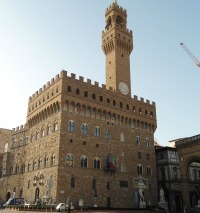 One of the hottest things to do in Florence in February is the ever popular 'Inferno' Tour. Fans of Dan Brown's thriller will certainly want to go the same route as Robert Langdon did, while an expert fills you in on the significance of each stop along the way. 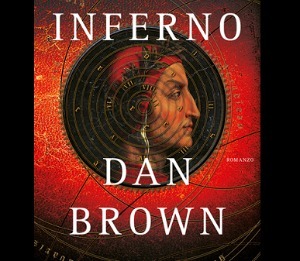 Based on Dante's Divine Comedy, the book takes place right here in Firenze and sees such historical monuments as the Boboli Gardens, the Vasari Corridor, Palazzo Vecchio, and the Baptistery as a backdrop to the drama. Don't miss out on the chance to check out Vasari's famed painting with the infamous words 'cerca trova' (seek and you shall find) hidden in the (huge) canvas (will you be able to spot them?). The tour lasts half-a-day, is a great adventure, and also gets you into Brunelleschi's Dome, Giotto's Bell Tower and other not-to-be-missed sights - all included! 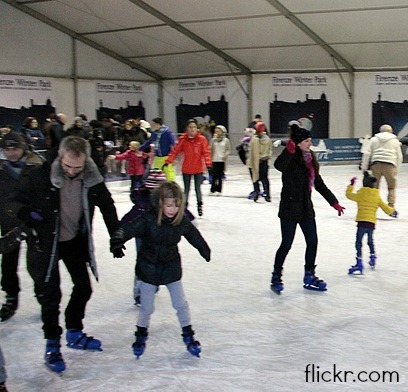 The Winter Park is perfect for people looking for things to do in Florence in February with children. On the south side of town an ice-skating rink and ski runs are set up for the the winter season, with also snow boarding too. This is also a great choice if you want something to do besides museums that's a bit 'off the beaten path'! Prices are very reasonable (e.g. entry €6) and you can rent all the gear you need (e.g. skates €2) and just concentrate on having fun! Soccer in the U.S., football in the U.K. but here in Italy it's just CALCIO, the country's national pastime! 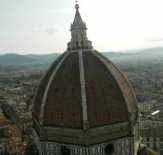 If you're looking for things to do in Florence in February that are off the beaten path, this is the answer. You just can't beat the local experience of watching a live soccer match while cheering on the Fiorentina team!